“Much of the state experienced lower-than-average snowfall and snowpack,” said Rob White, park manager for the Arkansas Headwaters Recreation Area which encompasses the Arkansas River from Lake County to Lake Pueblo. “Luckily, the Upper Arkansas River Valley and the Fryingpan-Arkansas Project area received some of the best snow in the state. This means there should be plenty of water for rafters, kayakers, anglers and all the people who enjoy the Arkansas River,” he said. Whitewater enthusiasts, who make the Arkansas River the most rafted river in the state, received more good news this week from the U.S. Bureau of Reclamation, which manages flows in the river. 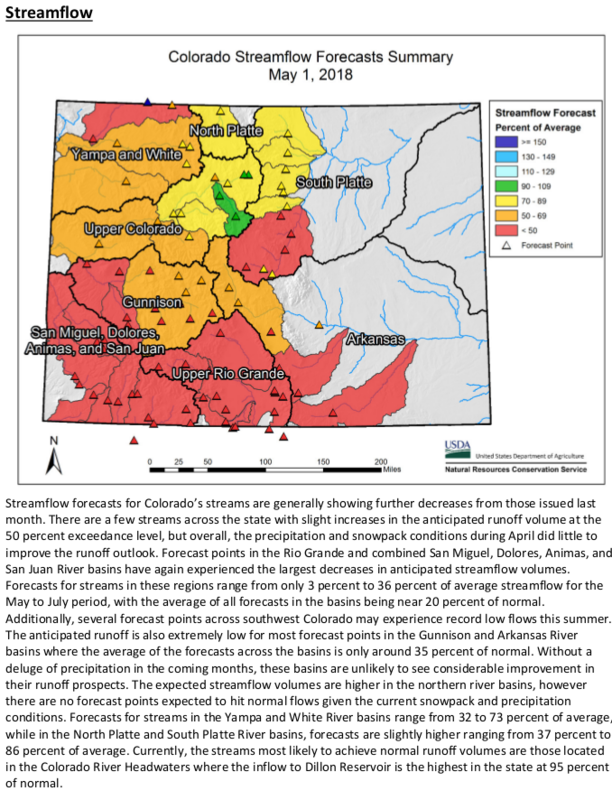 The bureau’s May forecast regarding the availability of water for releases in July and August indicates a minimum of 10,000 acre-feet of water will be available for recreational purposes. As part of the Voluntary Flow Management Program, the bureau will use the water to help maintain flows of at least 700 cubic feet per second from July 1 to Aug. 15 which is the peak of the summer vacation season. Last year, close to 50 different commercial outfitters along the Arkansas River provided trips for more than 223,00 guests who tested the mild to wild waters of the Arkansas through Pine Creek, the Numbers, Browns Canyon National Monument, Bighorn Sheep Canyon and the Royal Gorge. That is big business for the Upper Arkansas River Valley, resulting in $29 million in direct expenditures and an overall economic impact of $74.4 million, according to the annual report complied for Colorado River Outfitters Association. For more information, visit http://cpw.state.co.us/placestogo/parks/ArkansasHeadwatersRecreationArea.